Length: 60-90 mm. 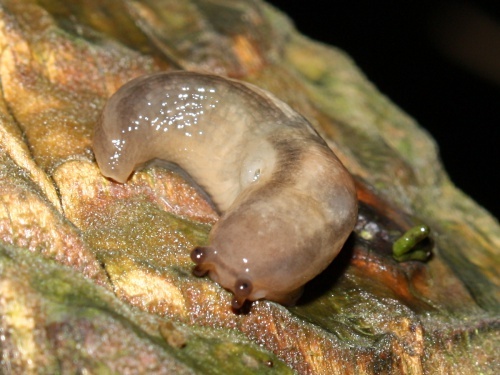 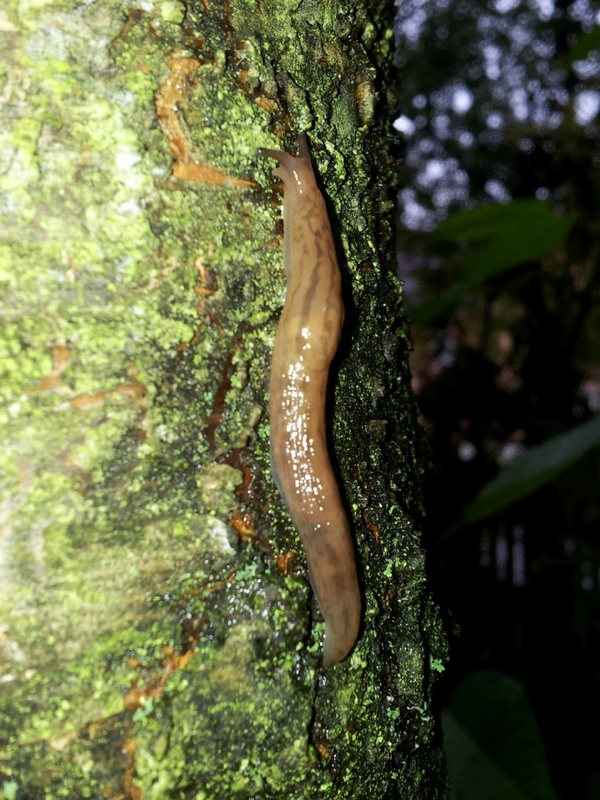 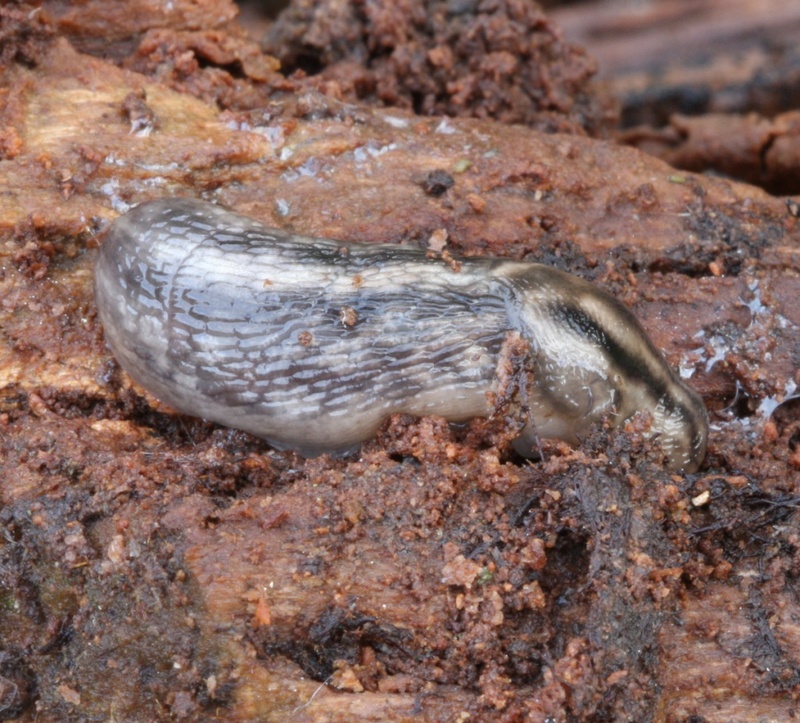 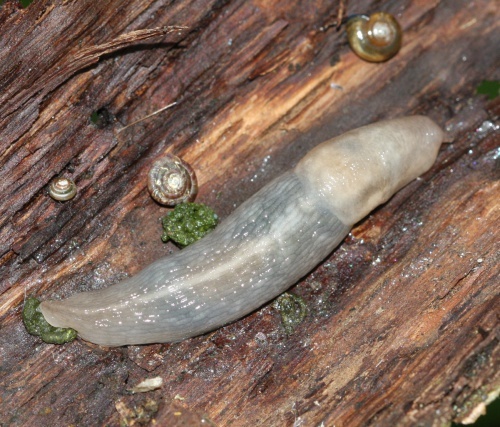 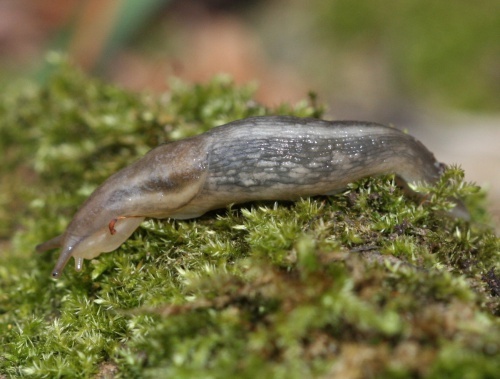 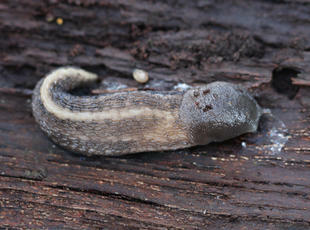 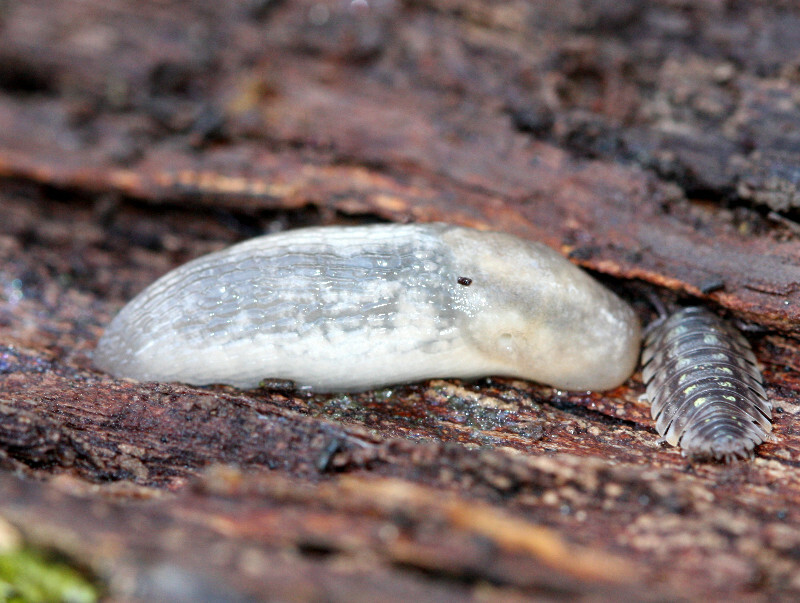 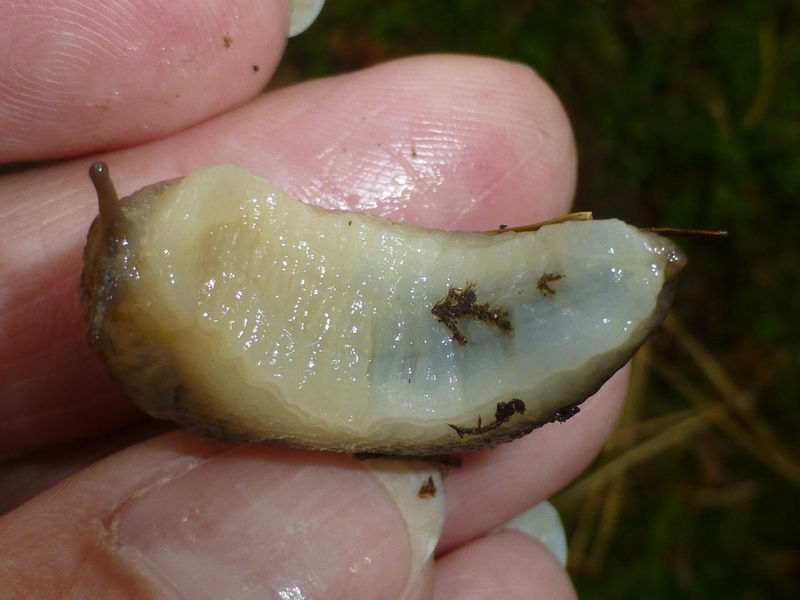 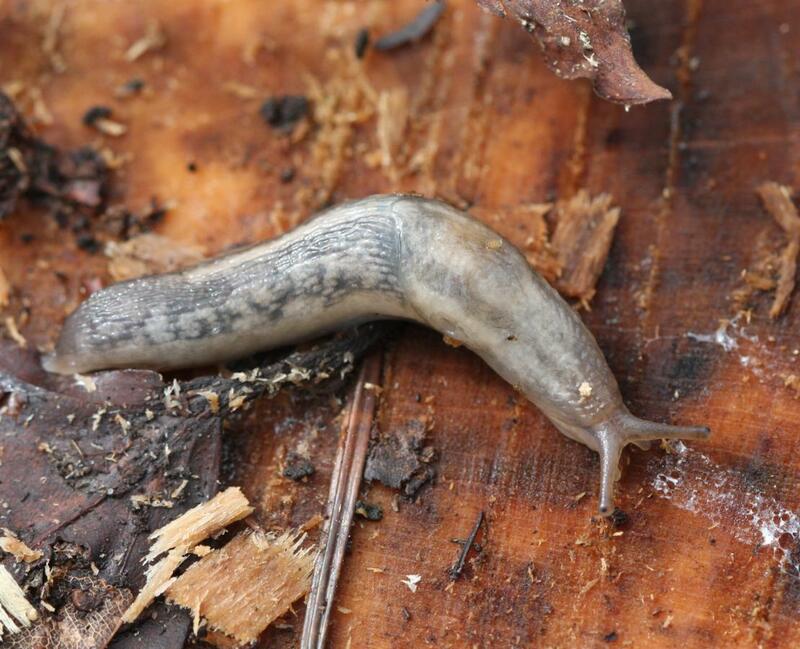 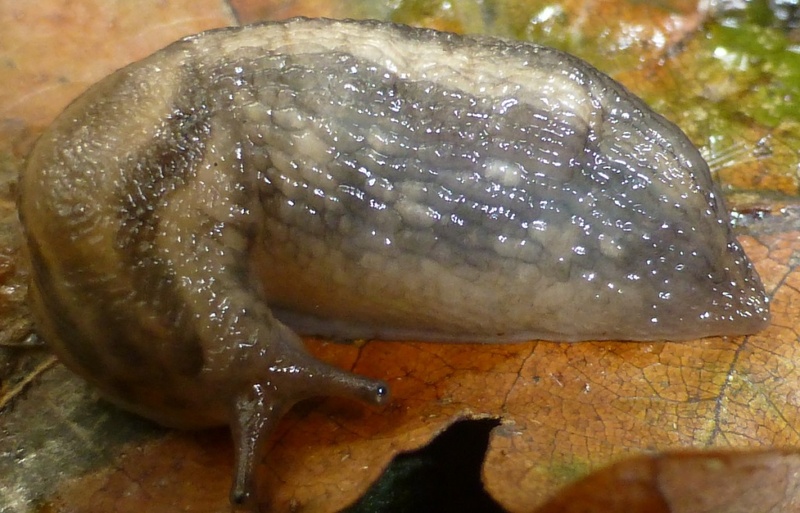 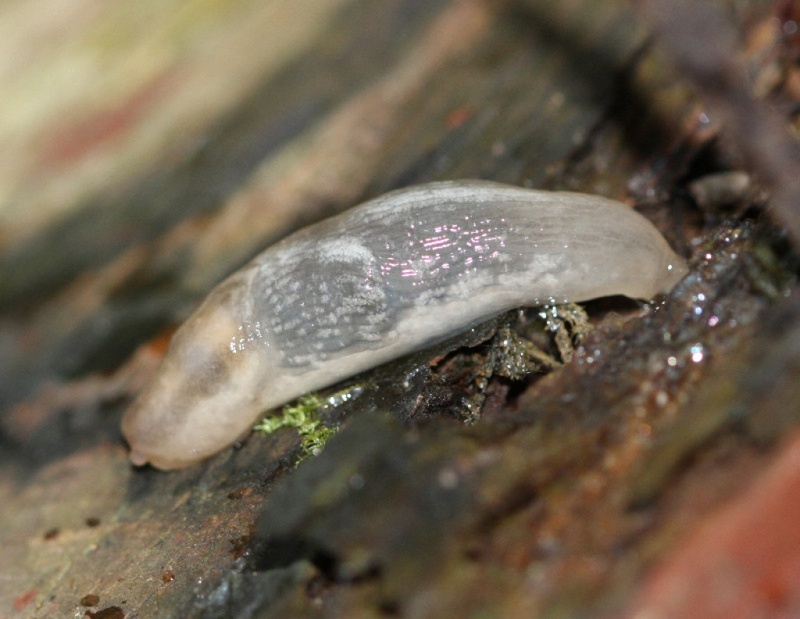 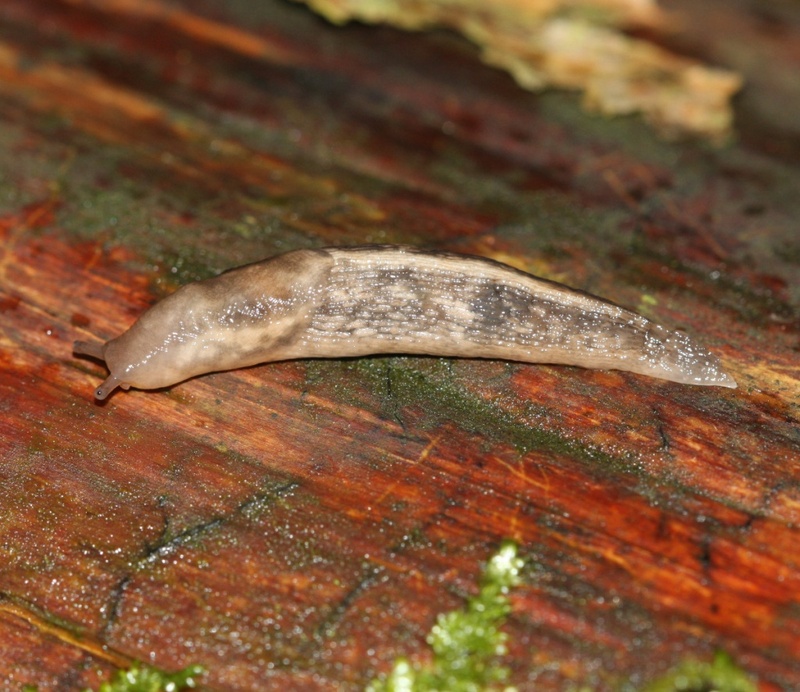 It is a pale, mottled and slightly translucent looking slug with a short keel. 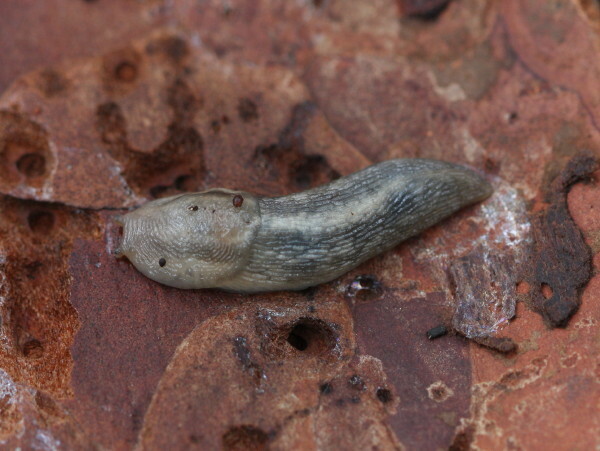 It can have pale dark blotches and a variable pale stripe along its back. The sole is pale and mucus is watery and colourless. 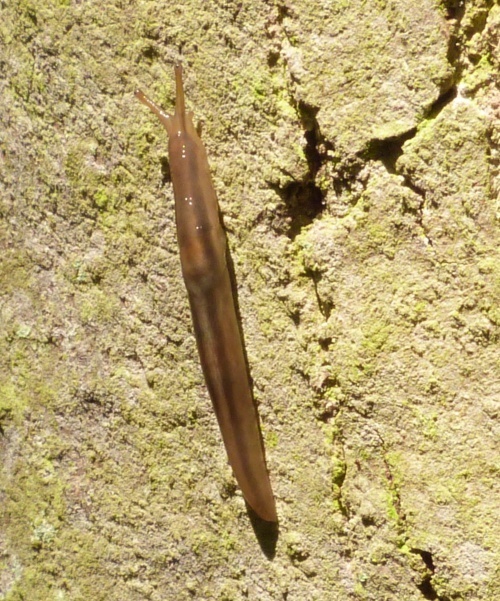 It could be confused with juvenile and pale Leopard Slugs, Milax maximus, but this species has a heavier build and stickier and less watery mucus. 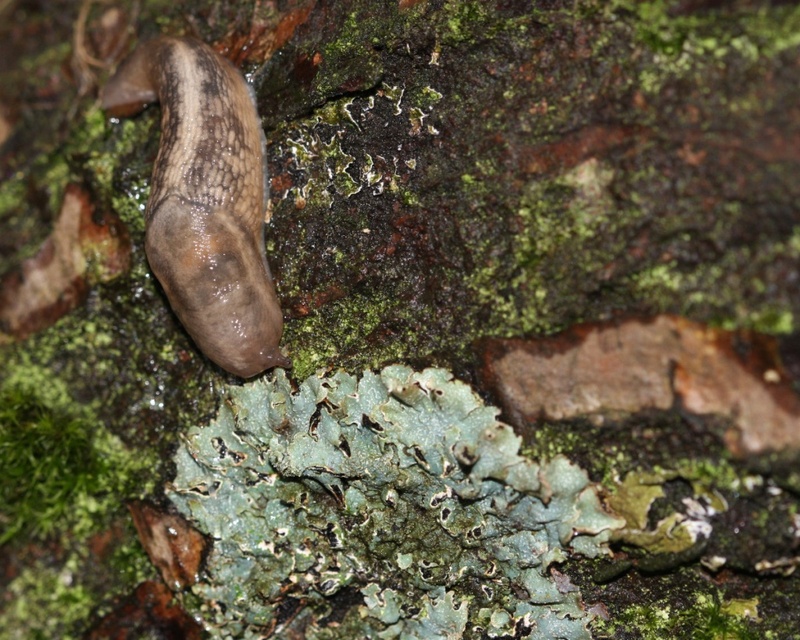 In the East Midlands it is mainly restricted to large, damp woodland. During wet weather it can be seen day or night, often climbing trees. Feeds on algae, fungi and lichen, often climbing up into the tree canopy. Because of this specialist diet it is not a pest species. 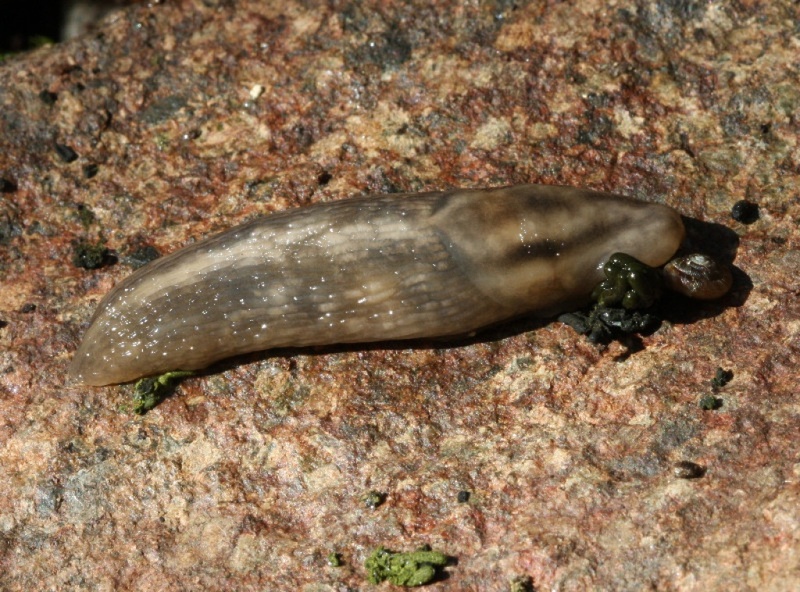 Quite common and widespread across Britain.